Somewhere in Neopia Central past midnight, there was a small Neohome. In this here Neohome held four pets, waiting for their owner to arrive back. And as usual, there were some pets either fighting, going crazy, or just being calm. "Hey, you guys!" a lunar white Lupe said, looking up from Issue 154 of the Neopian Times. "It says here in the editorial that there could be a Mutant Day coming up!" "Yeah!" a lavender blue Shoyru replied, bouncing up and down on her bed. "Another day honoring Neopia's most coolest Pets, next to Ghost and Darigan." "Eww, Abunai!" a blue Uni retorted. "You actually LIKE those mutatious pets?" From a desk filled with books and test tubes a yellow Kacheek looked up. "What's there not to like? Mutated Neopets are cool. By the way, Butterfly, 'mutatious' is not a word." "So what?" Butterfly the blue Uni retorted, rolling her eyes and turning her attention back to a NeoStyles Magazine. "I hate mutant pets. And they are, as I said, 'Mutatious' and uggggllllyyy!" As the blue Uni continued reading, Abunai flew over to her brother Silver and whispered, "Wouldn't it be cool if we were all mutant?" The white Lupe flashed a toothy grin. "I thought you wanna be painted Ghost," he responded. "Yeah, but we can easily freak out Butterfly when we're, as she said, 'mutatious.'" The duo snickered just as the door opened. A young girl walked in with messy brown tufts of hair and a white shirt with a blue jacket, holding a slobbering Droolik in her hands. "Thanks a bunch, Abunai," HTML groaned. "Your Droolik slobbered all over my paperwork, which makes it harder for me to write anything right now." The Droolik suddenly fell out of HTML's hands, landing headfirst, panting. Spotting the four Neopets, he began to run over, much to the four Neopets disgust. "Incoming slobber attack!" Kachii the Kacheek warned, ducking under her desk. "Must...avoid...becoming temperamental..." Silver moaned, burying his head in his paws to avoid one of the many solved mysteries that make Lupes so grumpy. Abunai just smiled as Odie began licking his pink tongue all over Butterfly's face. "Ewww!" the Uni screamed, gingerly pushing off Odie. "Abunai!" "It likes you, don't hurt it's feelings!" the Shoyru mocked. "Whatever! Your dim-witted dumb gothpuppy doesn't even HAVE feelings!" Butterfly retorted. "Shoo!" she cried, waving a rolled-up NeoStyles Magazine at Odie. The Droolik just stared, its tongue lolling out, panting. "It's half past midnight, you guys!" HTML said, waving a hand. "You gotta go to sleep! Look at this mess! I'm not gonna clean this up, no way!" "Get a Vacumatic 9000," Butterfly muttered, throwing herself into a small canopy bed. "I need some shut eye right now." Yawning, Butterfly blinked her eyes open and screamed to find her room filled with cobwebs and Mutant Neopet Posters plastered on her wall. A few Mutant Spyders dangled from their webs, Vernax and Veespa stuck to their doom. "Wh, what's going on?!" Butterfly stammered nervously. "Sloth, if this is one of your practical jokes I'm gonna make you pay big time Borovan!" The door creaked open and a Mutant Kacheek walked in. Shrieking like a frightened little Miamouse, the Uni ducked under the covers. What's happening?! the blue Uni thought wildly. Deciding to peek out from the covers, she almost fainted as the Mutant Kacheek stared at her with malicious eyes. Why is everything mutated? Is it gonna happen to me?! This better be a bad dream! The Kacheek grinned, it's fangs baring out. "What's the matter, Butterfly?" the Kacheek cackled. "Afraid to face your worst nightmare?" Butterfly screeched, then shuddered uncomfortably at the familiar voice that emerged from the horrid beast. "Kachii?" she whispered, staring at the Mutant Kacheek with wide eyes full of terror. "Yes, it is me," Kachii hissed. "What you soon will witness is a greater horror then the time I turned Sloth into Baby Space Fungus and crawled all over your face. Almost every single Neopet in the whole of Neopia, from Terror Mountain to the depths of Maraqua, has been transmogrified into hideous beasts you call Mutants. And this time, it ain't Sloth's fault. He took the crackers, though." "Bu-bu-but what does it m-m-mean?" the horrified Uni asked, shuddering at the ideal thought of her turning...mutatious. Kachii coughed. "Well, too bad for you that everyone's a mutant and will try to get you...to a place of utter horror..."
"The Game Graveyard?" Butterfly gasped. "Well, not exactly. We thought that would be too extreme, but anyway, prepare for the worst!" And with that the female mad Kacheek scientist laughed. Freaked out now, Butterfly jumped out of bed and pulled open the door, ignoring the cobwebs that stuck to her messy white mane and whirled around her horn like cotton candy. Trying to shake it off only caused the webs to tangle even more. Reaching the kitchen, her face turned a completely deadshot white as a hideous Mutated Shoyru roared in her face, followed by a howling Mutant Lupe. "NOOOO!!!!" she shrieked, cowering to a corner, and almost fell over as a Mutant Spyder dangled in her face. "Don't hurt me, please! Eat Abunai, she's the one who's tasty, not me! I taste disgusting, trust me!" Suddenly the Shoyru grinned. The Mutant Lupe snorted. Soon both bewitched Neopets were rolling on the floor laughing their heads off in a big way, tears streaming down their eyes. Butterfly slowly crept out of her hiding place, staring at the two pets laughing hysterically on the ground. "Wh-what's so funny?" she said, slowly retracing her steps. Suddenly she knew. "Abunai! Silver!" she snapped angrily, her eyes wet. "Th-that wasn't funny!" "I know it wasn't!" the now mutatious Shoyru gasped, clutching her sides. "It was...hilarious!!!" 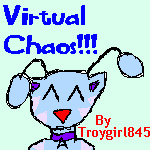 Silver wheezed, and before you could say "Chet Flash wuz here" both Neopets were laughing like maniacs once again. "Hmph!" Butterfly snorted, and stormed over to the door, turning the knob. "Maybe I could get some fresh air outside...instead of staying with a really mad scientist and two homicidal maniacs. Wonder if Sloth knows anything about this..."
Just then Abunai's eyes flew wide open. "That reminds me-" she started. Grabbing HTML's favorite Sloth torturer Crusher the Shovel, she beckoned Silver to follow her. "C'mon, Silver, we need to get some Transmogrification Potions to keep the effects permanently!" The Lupe looked up. "Man, now I LOVE being a Mutant Lupe! This is much more better than the Baby Look!" "EXCUSE ME?" Butterfly gasped. "NOTHING is cuter than baby." "And it's not surprising that a girlie-girl would say that," Abunai murmured, rolling her eyes. "Move it, B! We need to chase Sloth! I'm sure HTML wouldn't mind if we borrow Crusher." And with a door slamming in the Blue Uni's face, the two were gone. Suddenly Butterfly felt uncomfortable. She shuddered. She was all alone in a haunted house, not even two crazy pets insulting her. She felt alone, abandoned, and the thought that someone, or something would be watching her made her squeal. The door creaked. Gasping, the Uni turned around in fright to see a door welcoming her outside in Neopia Central. It was dark. The gray clouds boomed with thunder, the wind pushed against the barren trees, and she almost swore a paper from the Neopian Times flew past her face in Bold Red Letters saying, "Beware...beware...beware..."
The shops seemed deserted. This couldn't be real, Butterfly thought grimly from the Deep Catacombs Coffee Shop. Trembling with fear, the Uni sipped some Tchea Tea, although it didn't help much with the creepy emptiness around her did. It was cold, although she was slightly relieved no Mutatious Spyders dropped down unexpected in her face, which was also suspicious since Spyders usually hang around the Deep Catacombs. She reached for a nice Tchea fruit, and was horrified as the Tchea Fruit in her plate suddenly became soggy and grim. Spikes poked out from the fruit, and the leaves spouted hairs. A sickly green slime oozed out from a hole in the Tchea fruit, which caused the Uni to gag. Scared to death, the Uni rushed out, not turning around. The Apples in the apple tree became blue and hairy and became rotten and soggy like the Tchea Fruit, and a the moon was slowly rising, the sun hiding even from this hideous, mutatious nightmare. She was so confident on getting home and hiding forever under the covers that she didn't notice a Mutant Usul jump out in front of her face. Her hooves screeched as she tried to stop, face to face with the creature and a Mutant Babaa on it's head. Shrieking like crazy, the Uni whirled around and ran just to come face to face with a Mutant Meerca and Chia. Mutant Snowickles crawled on some pointy rocks and hissed at Butterfly, causing the poor ambushed Uni to almost scream in terror. That wasn't all, as a Meepit "meeped" right in her face, and a Mutant Weewoo "weewoooeed" as well, both snickering. Almost thinking it couldn't get any worse, more Mutant Pets began surrounding her, chanting "Beware!" and laughing evilly. "Leave me alone!" she cried, tears pouring down her face. "Somebody please help!" she yelled, backing away. Turning north to south, hideous Rukis and Buzz swarmed in, and the Mutanted Lupes howled. Butterfly looked up. A full moon. It was even more freaky than the Haunted Woods as the Neopets repeatedly chanted, "Beware...beware...beware..."
"No-!" she shrieked, the tears continuing to fall. There was a strange sound, and as Butterfly looked up she shrieked as Abunai's Droolik fell towards her, and then everything turned black. "Is she alright?" a familiar voice whispered. "Yeah, she's okay. Just make sure Odie doesn't fall on her again. Oh yeah, you're grounded for taking Crusher without permission." another familiar voice retorted. "Aww, come on! I whacked Sloth with that darn thing, AND retrieved the crackers!" "Hmm. In that case, I'll lower the punishment. No White Chocolate Asparagus Soufflé for you today." Butterfly groggily opened her eyes, and screamed as Abunai and HTML stared at her. Her head was spinning around, searching the room for any mutatious monsters attacking her. "Wh, where am, I mean, who, I mean, what in Neopia happened?" HTML shrugged, a sly smile on her face. "Really horrid nightmare of doom?" she said. The Uni looked at her room. It was reverted back to normal again, no cobwebs or Mutant Posters. "So, it was all just a really, really, REALLY bad nightmare, eh?" she laughed, glad that ambush wouldn't happen again. "HTML, don't lie!" Kachii said, walking in, Lab Coat and all. The Kacheek scientist had also morphed back to her Yellow, brainy and crazy self again, and was eating a Squishy Brain Wrap. "Actually what happened yesterday was true. Everyone was a Mutant, well, except those who AREN'T mutant yet, and some of them were tryin' to scare you." Kachii chuckled. 'It worked, unlike any of my experiments." "Oh, come on!" Butterfly retorted at the Kacheek, rolling her eyes. "It was too scary to be real!" There was a crash from the kitchen. "It's Sloth!" Kachii's voice hollered, "and he's come for the crackers!" "Pin him down, Silver! I'll handle this!" HTML reached for Crusher. "C'mon, Butterfly!" The Uni slipped her Cybunny Slippers on and smiled. At least it was a dream. Yeah, nothing but a mutatious nightmare, that's all it was. Who cares what Kachii says? As if SHE knows almost everything! "Oh yeah..." Abunai said, tossing her older sister a book, "you may wanna read this." The Uni, puzzled, stared at the book. "This is a calendar! I ain't gonna read this!" she retorted. "Oh, don't worry, you're gonna read it," HTML smirked as she walked out the door with a shovel in hand, followed by the Blue Shoyru. Curious though, Butterfly turned to look inside the calendar. "Well, let's see...hey, there's a new day added to the calendar on the 25th of August! But why is it in purple letters? It's so hard to read though because of the weird Halloween font! Let's see, M-U-T-A-N...."
There was an earsplitting scream coming from Butterfly's room, followed by a thud. "Yep, she read it!" HTML smiled as Silver and Abunai fell to the floor laughing. "Don't you have any memories of what happened before Nora adopted you?"